Tickets for the 2016 Taste of the Neighborhood Gala benefitting the Village are on sale online now at www.fbwevillage.org. You can buy single tickets or a package of eight or more to fill one or more tables. The event will be in the grand foyer of DAR Constitution Hall at 1776 D St NW from 7 to 10 pm on Wednesday, Sept. 7. 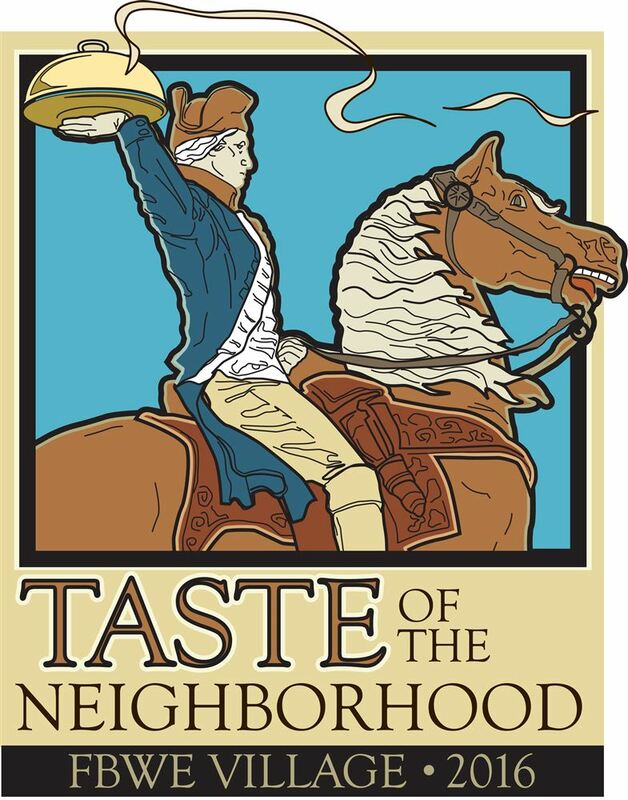 The Taste Gala will focus on the many top quality restaurants and other food and beverage purveyors in the neighborhood. For the price of your ticket, you'll get a wide selection of dishes from FBWE's restaurants and access to our open bar. At the bar, we will offer white and sparkling wine, beer, juices and soft drinks. Single tickets cost $95, of which $65 will be eligible as a charitable deduction for tax purposes. A table of eight will cost $680, of which $440 is eligible as a charitable deduction. For those wishing to buy a block of more than eight tickets, additional individual tickets will be $85, of which $55 is eligible as a charitable deduction. To buy your tickets and register for the event, look for the big button with the Gala logo that says, "Click here to buy tickets." Clicking on the button will take you to the 2016 Gala web site. Detailed instructions will appear under the "How to Register" link on the Gala web site.